There are different kinds of products referred to as “leather”, but do you know the difference between PU leather (polyurethane leather) and real leather? Polyurethane leather is a leather-like polymer substance made out of polyurethane, a type of plastic. Meanwhile, real leather comes from the hide of animals. That’s the basic difference between polyurethane leather and real leather, but let’s take a closer look at the two different forms of leather. There are various types of artificial leather, and PU leather is only one kind. Other kinds of artificial leather include PVC leather. Some forms of faux leather are even made out of substances like oak trees and kelp. Polyurethane leather was created to have the same look and feel of leather, but without using actual animal skin. The most common way of creating PU leather is to use the plastic polyurethane coating and apply it to a base made out of fiber (usually polyester). PU leather might be combined with real leather in a form called bi-cast leather. Bi-cast leather may use a split leather base which is then covered with a PVC or PU layer. Polyurethane leather typically has the same general feel of leather, but it’s typically a little lighter than genuine leather. Polyurethane isn’t quite as durable as real leather and tends to tear more easily, though it also doesn’t crack or fade when exposed to sunlight as some real leathers can. This is why it is frequently used for automobiles. Polyurethane leather can also be produced in a wider variety of colors, patterns, and styles than real leather can. It’s also easy to apply a glossy finish to it. In terms of maintenance, PU leather rarely requires much maintenance and can usually just be wiped down with a damp rag. Polyurethane leather may have some environmental benefits over real leather. PU leather obviously doesn’t require animals to create, and unlike real leather, it doesn’t need to be tanned. The tanning of leather can create considerable pollution from the chemicals used to create it, such as chromium and ammonia. On the other hand, PU leather isn’t as biodegradable as real leather. In contrast to real leather, PU leather isn’t as breathable. It’s more breathable than other types of synthetic leather, such as PVC, however. While real leather tends to get better looking and softer over time, this isn’t true of PU leather, which will maintain a consistent look and feel throughout its life. Finally, PU leather tends to be substantially cheaper than real leather. You can usually distinguish PU leather from genuine leather by checking either the price or the label. The price will usually be much cheaper on PU leather items, and if the item has a label on it, it may say PU or Polyurethane. 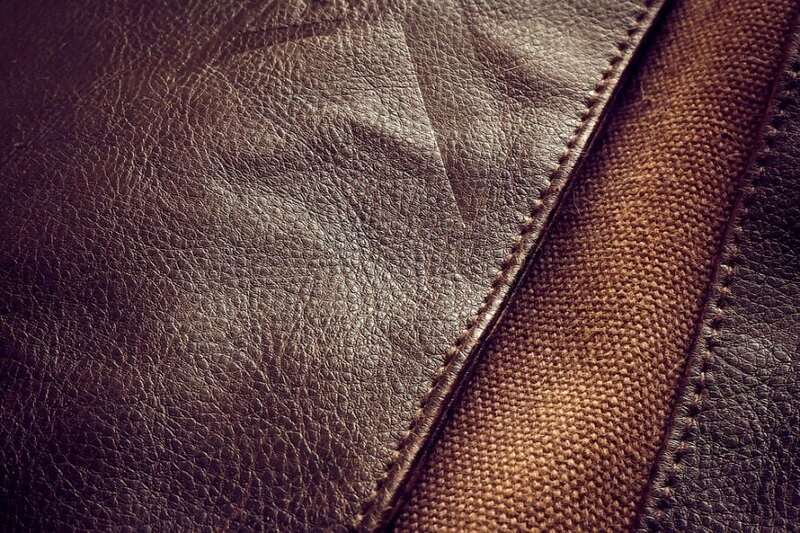 A close look at the item may also reveal if the leather is genuine or artificial, as the pores of the animal’s skin are only present on real leather. Finally, try smelling the leather item, if there’s a distinct plastic-y smell, it is probably PU leather. Genuine leather is made from the skin of animals, frequently cows, deer, and horses. The skin of the animal needs to be tanned to be turned into useable leather, and this is done at a tannery. There are various kinds of tanning processes, chrome tanning and vegetable tanning are the most popular. Chrome tanning is typically regarded as the most efficient process and it uses the chemical chromium sulfate to make the leather more durable. 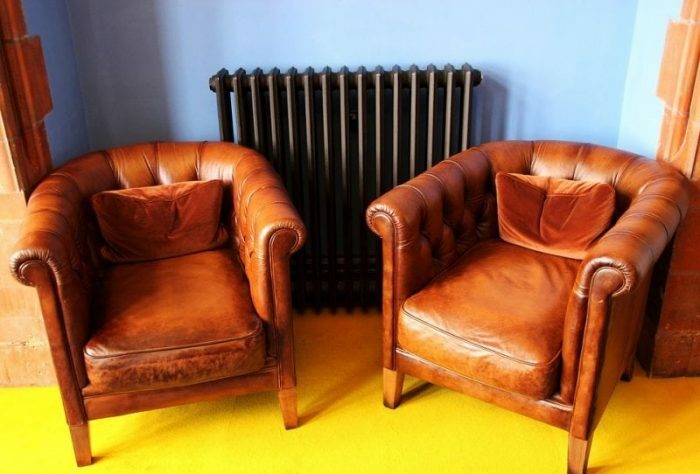 Leather is used in a wide variety of items, from clothes to books to furniture. Genuine leather can last a long time, and it typically gains a pleasing patina as it ages. Genuine leather is very durable and can last between 10 to 20 years if properly maintained. In contrast, PU leather can begin to crack and crease in only a few years. Genuine leather is difficult to tear or puncture, and it is also much more breathable than most artificial leather. Some real leathers possess hypoallergenic traits, meaning they repel certain allergens. In contrast, faux leather lacks hypoallergenic traits. Maintenance for leather is a little more involved than maintenance for PU leather. It can be cleaned with water or soap on a damp rag, but if oil or sweat has stained it will need to be cleaned with a special leather cleaner. Genuine leather may need to have a leather conditioner applied from time to time to keep it supple, or else it will become stiff or brittle. This is because the natural oils within the leather dry out after time. In terms of how environmentally friendly real leather is, there are multiple things to consider. Real leather is more biodegradable than artificial leather, but as previously mentioned there are many hazardous chemicals used in the tanning of real leather that can be very pollutive. On the other hand, because leather lasts longer than artificial leather less waste may be produced as a byproduct.